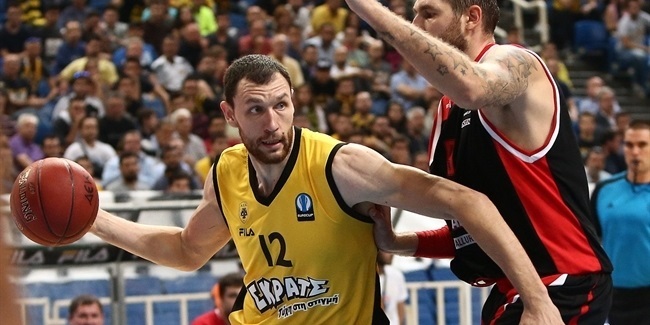 AEK Athens bolstered its frontcourt by inking experienced center Loukas Mavrokefalidis to a one-year deal on Monday. 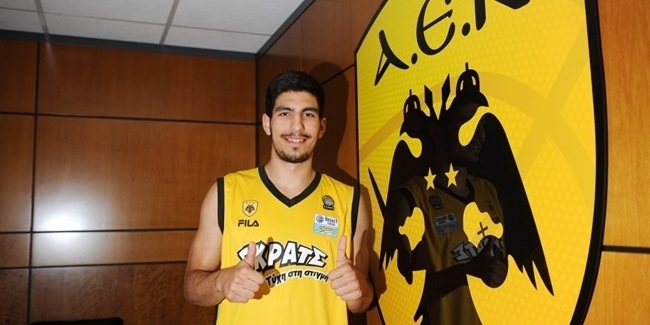 AEK keeps an option to extend his contract until the end of the 2016-17 season. Mavrokefalidis (2.10 meters, 31 years old) arrives from Panathinaikos Athens, where he averaged 7 points and 3.3 rebounds in 22 Turkish Airlines Euroleague seasons. He has also played for PAOK Thessaloniki, Olympiacos Piraeus and Maroussi Athens of his native Greece, Virtus Rome of Italy, Valencia Basket and FC Barcelona of Spain and Spartak St. Petersburg of Russia. Mavrokefalidis helped Panathinaikos lift the Greek League trophy in 2014. He has also won four Greek Cup titles - two with Olympiacos in 2010 and 2011, and two more with Panathinaikos in 2014 and 2015. Mavrokefalidis was chosen to the All-Eurocup second team in the 2012-13 season, averaging 14.5 points and 5.3 rebounds in 14 games with Spartak. He has accumulated 522 points and 199 rebounds in 45 Eurocup career games with PAOK, Spartak and Maroussi. Mavrokefalidis is also a member of the Greek national team. He helped Greece reach the 2005 U21 World Championships final and get a bronze medal at the 2003 U19 World Championships.